Growing facial hair is a tremendous accomplishment. The first sign of facial hair means that your body says it’s time to get rugged. However, with great (beard) power comes great responsibility. 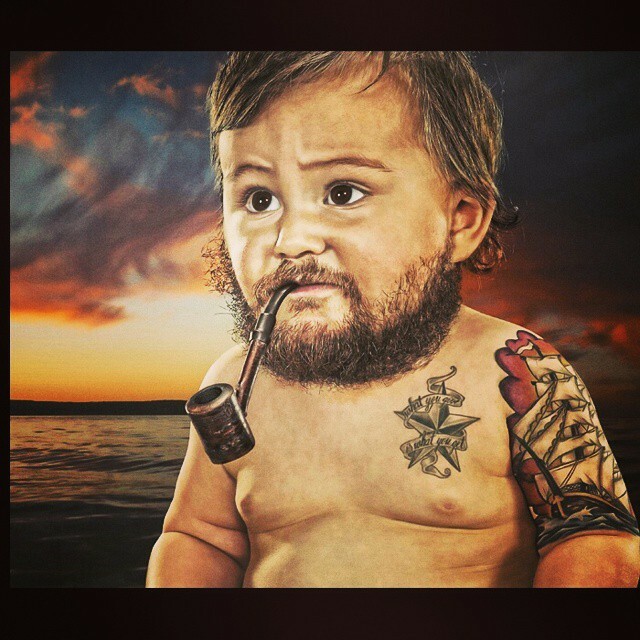 Having a beard means that it should look tip-top all the time, even if you’re starting out young. With good habits comes a long life full of a great beard. Here are some tips to get you on the right path, no matter how old you are. Starting to shave is a rite of passage. At that very moment your life changes for the hairier. Even if you started when you were a proverbial toddler (in your teens) a full beard might be out of your range, for now. 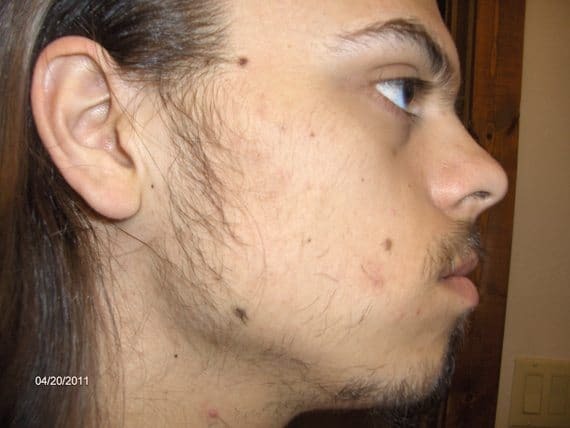 Facial hair changes with changes in hormones, diet, and environment. A full beard might be out of your reach if your body is still developing, and you just have to accept that. Don’t over-extend your reach. Feel free to rock whatever facial hair that you do have, but do it tastefully. The young gentleman to the right will one day work his way up to something glorious, but for the time being, we’d recommend cleaning up the hair in areas that haven’t fully grown in yet and leaving only the fuller hair around the lips and chin. What Kind of Beard Do You Want? Probably better to keep the facial hair to a minimum at this age. Moustaches are ok- they’re a good gateway drug into the world of facial hair. It’s ok to keep it sparse like John Waters but keep it classy. Remember, it’s 2015 and bad facial hair as a joke is only a joke on you. Goal setting is a part of life and it’s important to understand that working towards a beard will take time. If you’re in your late teens, be mindful of your skin care regime. Remember to exfoliate, and establish healthy habits that will follow you for the rest of your life. Your beard will thank you as it gets better and better. Remember that variety is the spice of life. Once you’ve found a facial situation that works for you, keep it neat. If you’re in school, remember that your beard is a representation of your personal hygiene. If your beard is in great shape, your peers and teachers will notice. If you’re looking a little scraggly, someone will notice. Growing a beard can be quite a challenge. Divine facial hair can exist at any age, it’s just a matter of understanding your aesthetic, maintaining that look and evolving your beard’s style as you continue to evolve. Remember, you two are in this together! Growing a beard can be done at any age, but remember to do it with panache! Your beard is part of the message that you send to the world, so take care of yourself and your beard. After all you owe it to the beard. Having a beard in your late teens will help you look older (don’t think about getting a fake ID – everyone will know!) but it’s a way of expressing yourself. If you’re not confident that your facial hair is going to grow in evenly remember to take a Beardilizer supplement! These natural products will do no harm and enhance the hell out of your beard and in turn, your life.